Whether you get invited to a wedding or you’re about to have your own, there’s a lot of fun to look forward to. You get to join up with family and friends to celebrate all the love in your life. There will be great food and music to enjoy, plus activities and the chance to bond with people you may not have seen in a while. However as much as you’re looking forward to attending or having a wedding, things can get a little sticky when you have to travel for it. 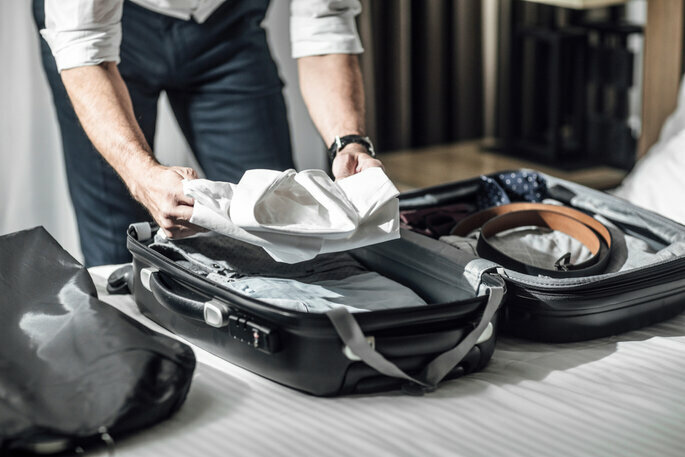 Traveling can put bumps in the road no matter what it’s for, but when you’re packing formal wear for a wedding, you may not know the best way to prepare. Formal wear requires extra care and attention compared to regular cotton clothes that can be thrown in the washing machine or scrubbed with stain remover. Read on for some easy tips about packing formal wear so you can arrive in style without anything extra to worry about. Not many people know this, but airlines sometimes have a closet or two that staff can use to hang coats and other garments. If you call your airline ahead of time, you can ask if the flight you’ll be on will have a closet you can use. Airlines occasionally let passengers hang things like wedding dresses and formal wear in these closets to prevent wrinkles and keep them from getting squashed in the luggage compartment or overhead bins. If you’re traveling for a wedding, chances are good that you won’t be there for just one night. That means you’ll have to come up with outfits, and each outfit might look best with a different bag. Instead of taking up room in your suitcase with a number of different purses, try to center your outfits on a transitional clutch. 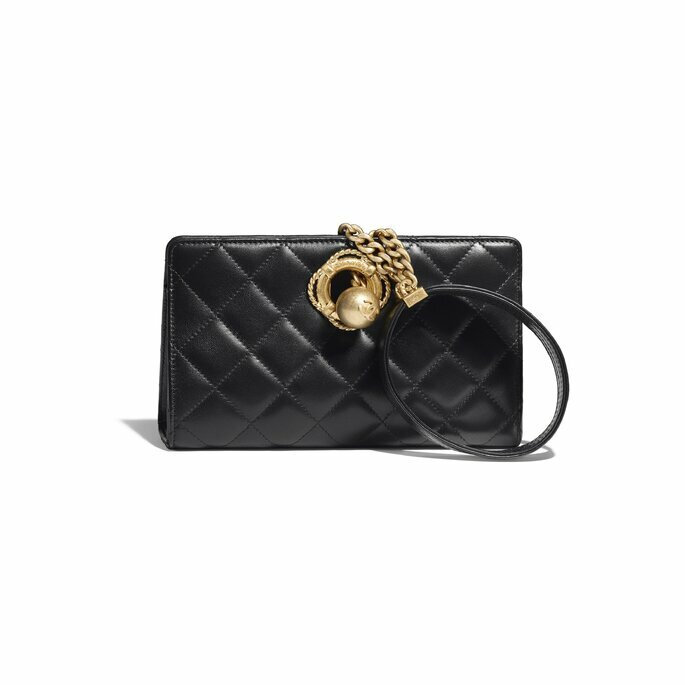 Clutches can easily go from completing a day outfit to an evening one, and they won’t require much room in your luggage. Formal wear means you’ll be traveling with jewelry to go along with each outfit, and it’s difficult to fit even a normal-sized jewelry box in a bag with the rest of your things. The best thing you can do while traveling with jewelry is to use a jewelry roll to keep everything organized. Necklaces won’t get tangled and earrings will stay in pairs. The last thing you want to do is spend the morning of the wedding trying to get knots out of a statement necklace or searching for the rings you packed that got lost in your suitcase. 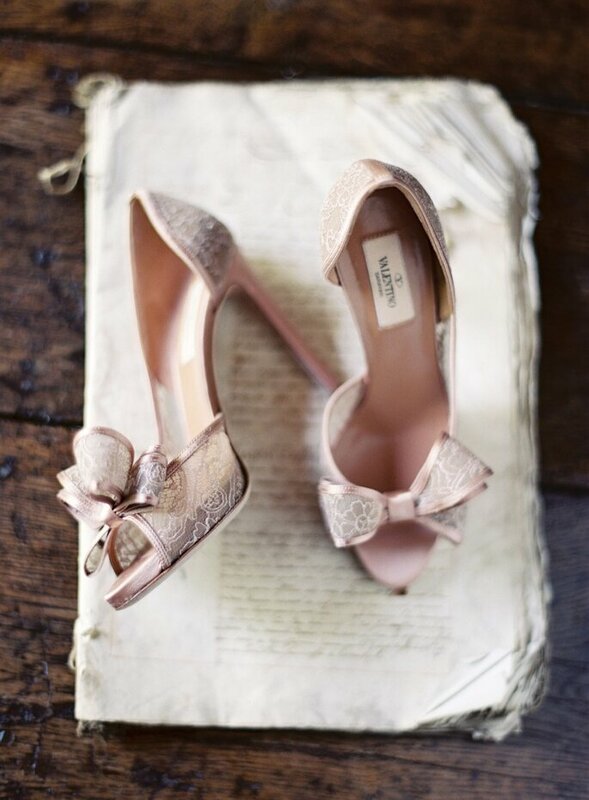 Shoes are another thing that take up more room than you’d realize in a suitcase. Like with your clutch, you can come up with outfits that go with one pair of shoes. That way you’ll only have to fly with your travel shoes and your formal ones, saving room in your luggage for other items you couldn’t go without. You might want to think about bringing extra plastic bags as well, in case you walk through any mud or dirt in your shoes before traveling back home. You may even be able to find extra bags at your hotel by asking the concierge for help. Garment bags are great because they keep your formal clothes packed away neatly and provide a barrier against any dirt or spills that could be in your luggage. Investing in a garment bag will save your clothes from wrinkles and keep them safe on your trip. They come in many shapes, sizes and patterns, so after you travel for your upcoming wedding, you can reuse them on future trips. When you pack heavy items into a suitcase, like shoes or a laptop, they add extra weight onto whatever they’re on top of. If they slide around during the transition from car to plane and then back to your hands, they’ll make creases and dents in what’s below them. Pack heavy items first so the lighter things stay safe on top. 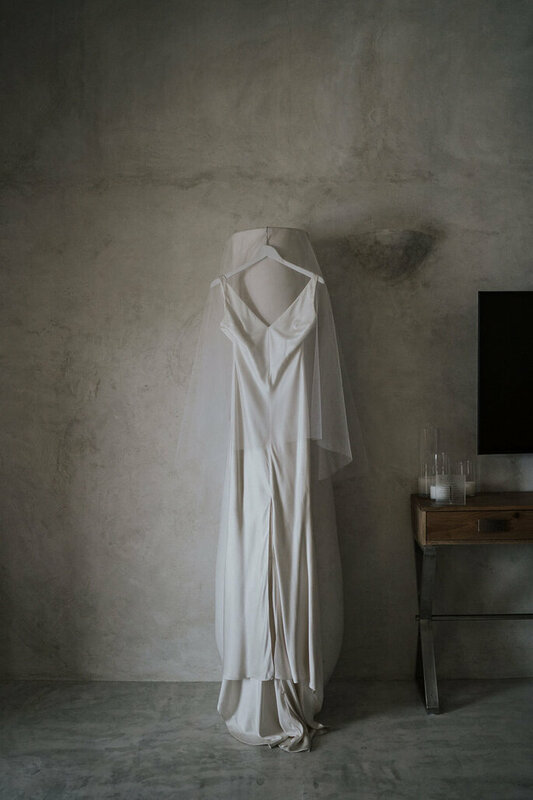 Traveling with your wedding dress can bring about more nerves than you’d think before leaving on your trip. You can take a few easy steps to vacuum-seal your dress so it fits in your carry-on bag. This way, it’ll stay in pristine condition for traveling and you won’t spend any time worrying about it accidentally being delayed or loaded onto the wrong flight. Anyone who’s ever traveled with toiletries knows that even if you only use a carry-on to be extra cautious, sometimes things spill. Shampoo bottles or soap leak even when the cap has been put on extra tight, so to protect your formal wear, buy extra ziplock bags to put any liquids in. Even if they spill, the mess will be contained and you won’t need to worry about getting stains removed before the wedding. Hotels typically provide an ironing board and an iron in every room, but not all fabrics can stand the intense heat of direct contact with an iron. Check your clothes ahead of time to make sure they’re safe to iron, and if they aren’t, consider buying a travel steamer. Steamers are used to remove wrinkles without high levels of heat, so your clothes can look great and stay safe at the same time. 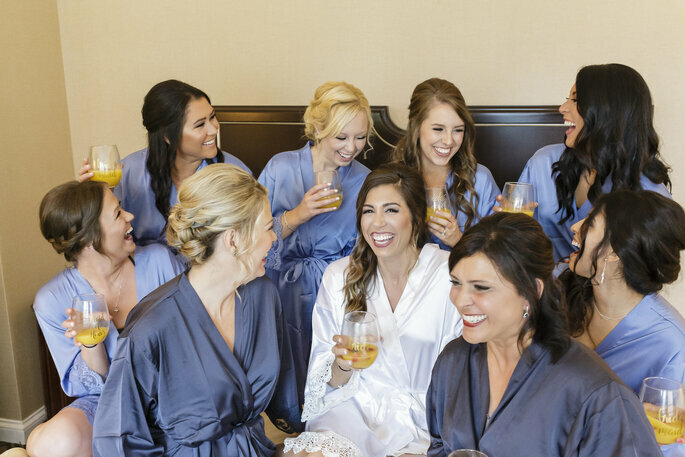 You may not have been to the wedding location before, so to be prepared for anything that might happen, look up any local cleaners that will be near where you’re staying. In the worst-case scenario, they’ll be able to make your clothes look like new if anything happens to them while you travel. Traveling for a wedding means you have to think a lot about what you’re going to bring, and when you have to pack formal wear, you’ll need to do things a bit different than you would for a typical vacation. Garment bags, jewelry rolls and even ziplock bags could be all you need to make your wedding travel a success.